The title pretty much says it all. I added a new section at the bottom of the right sidebar entitled, "Popular Catholic Quotations." There you will find links to websites that have compiled quotations by prominent Catholic individuals. 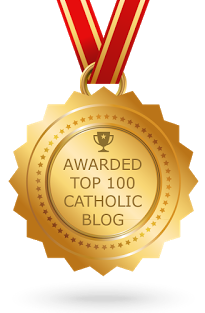 I think such a collection is of immense value to catechists. Nothing quite introduces a topic or summarizes it in conclusion like a good quotation, something witty from one of the great minds of the Church that really gets down to the heart of the matter. Let me know if you are aware of a link that I should add to the collection. ... would you "follow" Him?